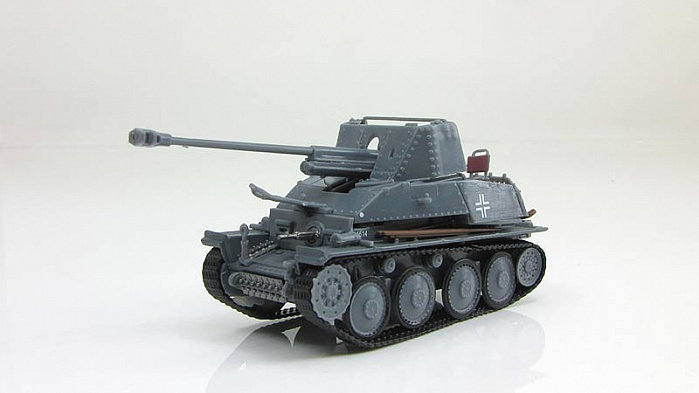 The Marder III is the name for a series of World War II German tank destroyers built on the chassis of the Panzer 38(t). The German word Marder means "marten" in English. They were in production from 1942 to 1944 and served on all fronts until the end of the war. 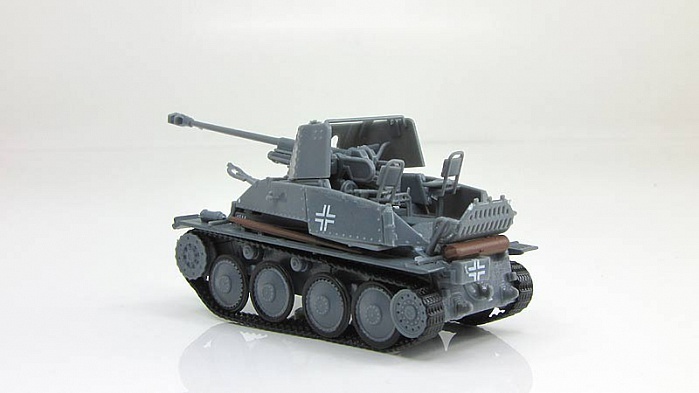 Even in the early stages of Operation Barbarossa, the Wehrmacht already felt the need for a more mobile and more powerful anti-tank solution than the existing towed anti-tank guns such as Pak 36 or tank destroyers like the Panzerjäger I. This need became urgent in June 1941, when anti-tank shells failed to penetrate the armour of new Soviet tanks like the T-34 and KV-1. As an interim solution, it was decided to use captured French vehicles like the Lorraine (Marder I), obsolete tanks such as German Panzer II (Marder II), and Czech-supplied 38(t) (Marder III) as the base for makeshift tank destroyers. 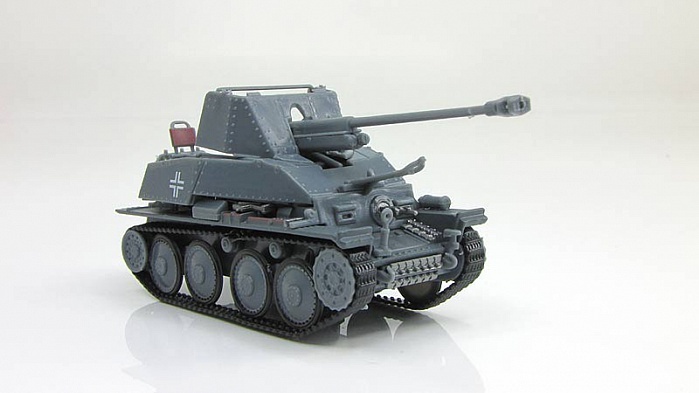 The result was the Marder series, which were armed with either captured Soviet 76.2mm F-22 Model 1936 divisional field guns, or 75 mm PaK 40 anti-tank guns for later versions. 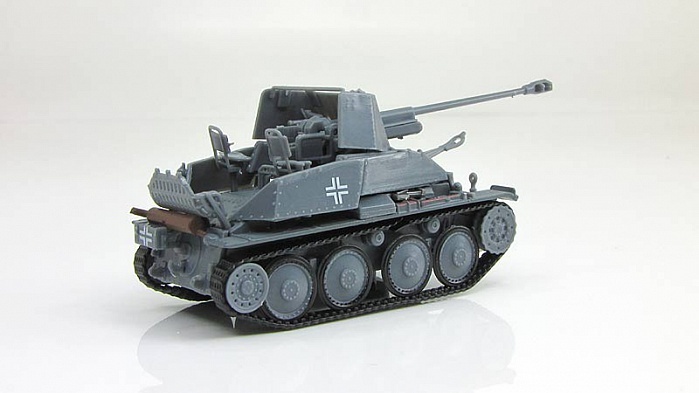 Due to weight and space constraints of these small chassis, Marder series were not fully armored. Weak armor protection was provided only for the front and sides. All Marder series had open tops. Some were issued with canvas tops to protect the crew from the elements.